The NICER payload, waiting patiently for launch to the International Space Station. This white box may not look like much, but it contains a cutting-edge payload that will soon be headed to the International Space Station. 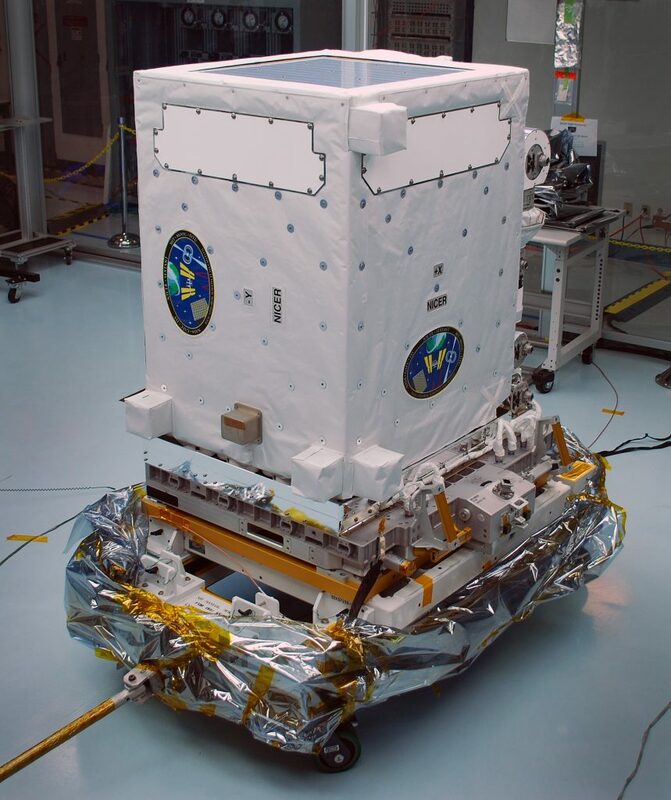 The Neutron star Interior Composition Explorer (NICER) is a NASA Explorer Mission of Opportunity dedicated to the study of neutron stars and all of their extraordinary extremes — strong gravity, ultra-dense matter, and the most powerful magnetic fields in the universe. The technology on NICER will help scientists resolve fundamental questions about neutron stars, including what they’re made of and how they shine, and examine the possibility of using them as “beacons” to enable precise space navigation. As NICER launches, deploys, and gathers its first data in the coming weeks, we’ll be giving you a behind-the-scenes look at the science, the technology, and the people behind the mission. At the time of this post, launch is targeted for Thursday, June 1 at approximately 5:55 p.m. EDT. Keep watching social media for launch updates… and in the meantime, enjoy this trailer for the mission!